Erowid is a non-profit organization that started up in 1995, by two people known only as “Fire Erowid” and “Earth Erowid”. Their purpose? To create a “world where people treat psychoactives with respect and awareness; where people work together to collect and share knowledge in ways that strengthen their understanding of themselves and provide insight into the complex choices faced by individuals and societies alike.” Access to Erowid is restricted in Russia. Erowid’s library contains over 60000 documents related to psychoactives and psychotropics of all sorts, legal and illegal. These documents include images, abstracts, research summaries, FAQs, chemical makeup, law, effects on health, dosage, history of usage in other societies and cultures, effects, drug testing and, crucially, experience reports submitted by people all around the world. Activities like meditation, lucid dreaming, electroceuticals and other activities and technologies that can produce altered states of consciousness are also looked at. 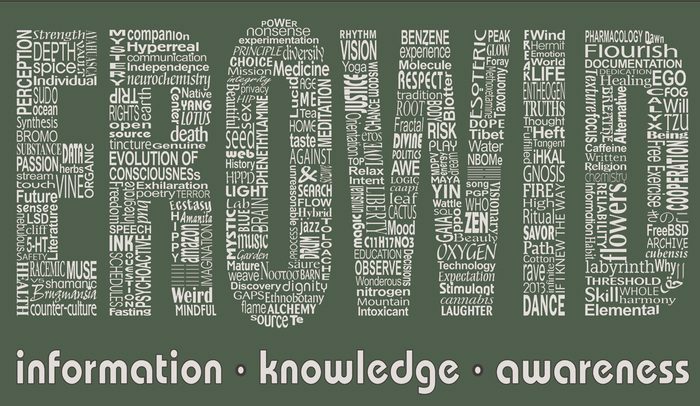 Erowid has now become one of the go-to resources for authors, journalists and researchers everywhere. The website has been cited by science & medical journals, newspapers, magazines, filmmakers, other websites, Ph.D. students and a lot of others besides. Emergency room doctors have even used it to look up the new and unusual substances people have taken to land them there in the first place! Erowid has also worked with MAPS (Multidisciplinary Association for Psychedelic Studies) in order to create a large reference database. So, what is it that makes Erowid so good? Probably because there is nowhere else on the internet where a person can get information on a psychoactive substance in as objective and non-judgmental manner as possible. Sure, there are lots of problems with Erowid, especially as it accepts data even from unreliable sources, and some have criticized Erowid for minimizing the adverse effects of drugs. However, the information that is on Erowid is overwhelmingly reliable and accurate, making it a fantastic resource for anyone who wants to learn about drugs and drug use. On top of all of this, Erowid runs a website named ecstasydata.org, an independent laboratory that allows people to anonymously submit street ecstasy in order to test its purity and safety. The laboratory is licensed by the DEA (Drug Enforcement Agency). The data is published on the Ecstasy Data website. Alongside being willing to publish user experiences, projects like these have definitely helped people make up their own minds about psychoactive substances, as well as improved drug safety and education amongst the population in general. Psychoactive drugs classification and effects. Erowid was and still is clearly stepping in areas others fear to tread. Erowid has helped shine a light on a ubiquitous area of life nobody wanted to talk about. Sure, getting blind drunk and telling your co-workers about it the next day is in some places acceptable; using a bit of marijuana and telling your coworkers about any positive effects it had on you is far less so. Of course, this is still the case, but Erowid certainly helped open up the discussion surrounding psychoactive substances somewhat. The website also gave people the resources to check out a substance before they took it, so they could get a view of dosage and effects (and even if they want to still take the substance in the first place). Furthermore, Erowid showed the world that normal, everyday people from all sorts of backgrounds use psychoactive substances. Humans are a curious species, and in most cases, this curiosity doesn’t kill them! This is especially the case with cannabis. People of all sorts of backgrounds use it, from the 60s hippie burnout to the go-getting entrepreneur to the housewife/husband baking (non-special) brownies for the kids. Erowid allowed people to describe their experiences in a frank and honest manner, alongside all the scientific and medical research and helped change views on cannabis. Erowid’s influence, however, has been subtle rather than overt. This is purposeful. Erowid isn’t an advocacy group, but neither does it proselytize. In a way, that is exactly what issues like cannabis legalization need: an objective, guiding voice that tells you of both the glorious highs and nightmarish lows. This is the only way we’ll ever get to have a proper discussion on not just cannabis, but the War on Drugs in general, and the effects prohibition has on society. In this regard, Erowid’s work is far from finished as of yet.